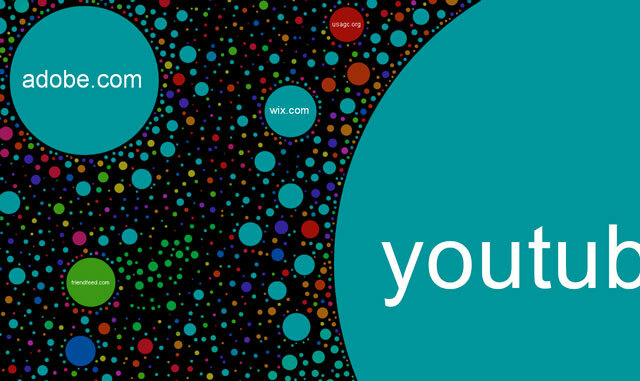 Internet Map is a data visualization of 350,000 websites, based on a snapshot of the Internet from late 2011. Each site is represented by a circle—the size of the circle indicates traffic. Sites that link often to one another are closer together, creating “constellations” of connected sites. 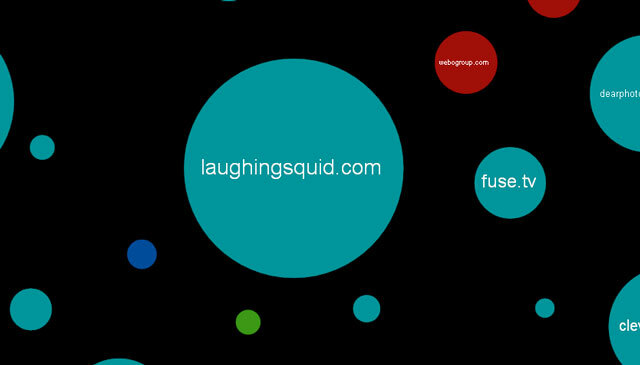 Laughing Squid is on the map, not far from Tumblr, Flickr, and Reddit. 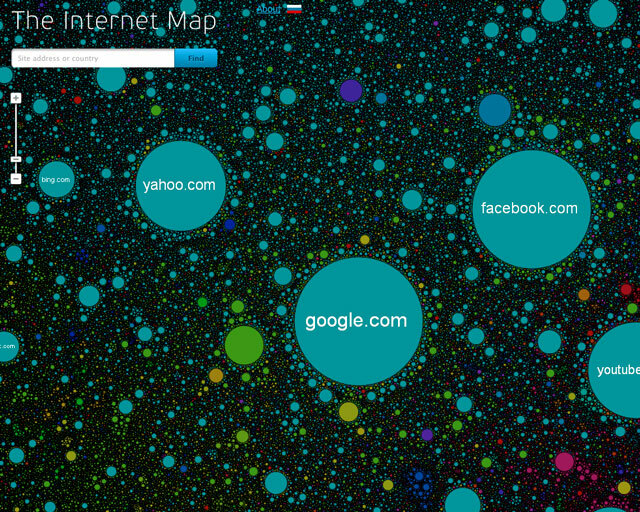 The Internet Map was created by program developer Ruslan Enikeev.